Ask the Professor: Why does “Butch Cassidy and the Sundance Kid” end with a freeze frame? ScreenPrism: Why does Butch Cassidy and the Sundance Kid (1969) end with a freeze frame? Professor Julian Cornell: Butch Cassidy and the Sundance Kid (1969) director George Roy Hill is underrated and not as well-remembered as he probably should be. He's mostly known for this movie, but if you look at his credits, he had a long list of very interesting movies. The other popular one had was The Sting (1973). That was a big hit, also with Newman and Redford. I think he's underrated because a lot of people remember Slaughterhouse-Five (1972) as not being a good movie. I think it's a fine movie; it's just that the book is ridiculously good. So why does Butch Cassidy and the Sundance Kid end with a freeze frame? 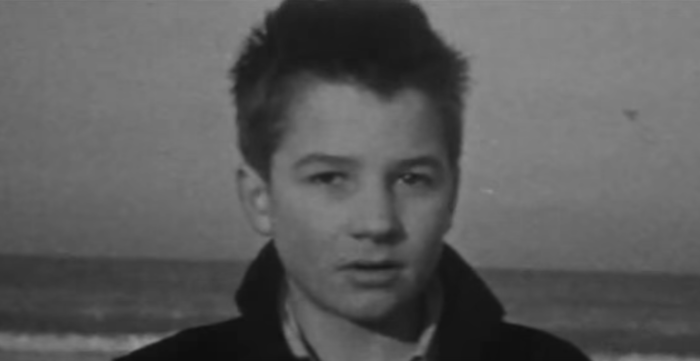 First of all, it was a tribute to the French New Wave and The 400 Blows (1959). A lot of what's going on with American films in the late 60's is very influenced by French New Wave films. Easy Rider (1969) famously, Donn Cambern, the editor, was influenced by the French New Wave, as were Arthur Penn’s Bonnie and Clyde (1967) and Little Big Man (1970). The editor of Bonnie and Clyde, Dede Allen, was very influenced by Jean-Luc Godard’s Breathless (1960) and a lot of the French New Wave films. When she and director Arthur Penn were figuring out how to cut Bonnie and Clyde together, they thought, maybe we should do something like what they're doing, while obviously putting their own signature on it. Butch Cassidy and the Sundance Kid ends with a freeze frame with for a number of reasons. First, it's ironic. As opposed to the unresolved ending with Antoine in The 400 Blows, we know what happened to Butch and Sundance. Those guys died in a hail of gunfire. Unless you see the movie Blackthorn (2011), which says they didn't die in a hail of gunfire, and of course there's the legend that their bodies were never really identified. But I'm pretty sure that they died. I know people would like the outlaw romance to live on, but the fact is Bolivia called in the army. Screenwriter William Goldman did a lot of research for that movie - I don't know how much actually shows up in the film. But primarily it ends in a freeze frame for thematic reasons. We don't want to see their defeat. The movie is consciously mythic, so a myth can't end in defeat. And if it does end in defeat, it has to be uplifting, or it has to affirm values in some way. There are plenty of war movies where everybody dies at the end, [and the end still affirms our values.] It’s very unusual for mainstream big budget Hollywood film like Butch Cassidy to end with the main characters being dead, but you have the historical problem, which is that those guys died. It’s not a war movie, so you can't have heroic defeat. Part of the point of the movie is to think about the mythology of the Western, the mythology of the Western characters, especially the mythology of masculinity in the West. Having that freeze frame so we don't see them die allows the myth to live on, even as the people, the human beings, die. Because that was the fate of the actual Butch and Sundance, who I'm sure were not quite as nice as they are in the movie and not quite as handsome as Redford and Newman (a high bar to clear anyway, and they're fantastic in that movie). Read more from Ask the Professor: Why does "400 Blows" end on a freeze frame?